Have you tried this addicting Agario game? As always, my husband introduced the game to me and I got instantly hooked the moment I tried it. But it was actually our 6-year old daughter who discovered Agar.io months ago through the YouTube channels she watches regularly. 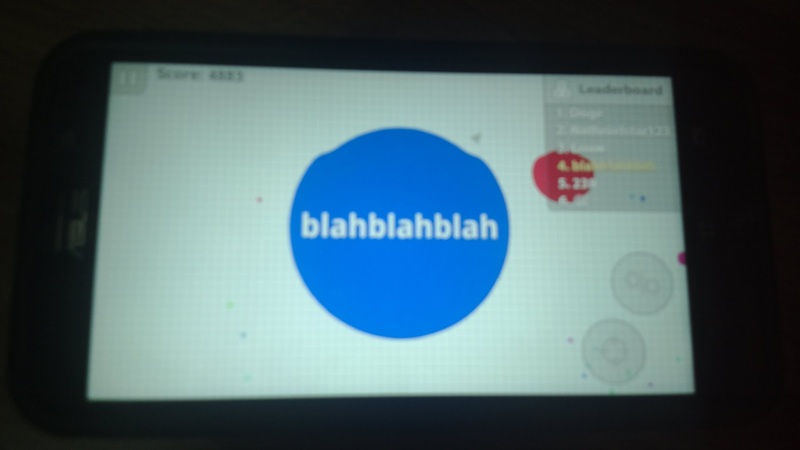 We play Agar.io on desktop PC, laptops, Android tablet, iPad, and smart phones. The game works on both iOS and Android. You can also play the Agario game online free through www.agar.io. It's no wonder why this game is addicting. The rules are very simple. Your character is represented by a cell and all you need to do is eat pellets or food in order to grow in size and avoid viruses (spikes) to avoid splitting. You will not be split into pieces unless you are larger than the spike itself. You also need to flee from larger cells that will eat you. Mobile versions display the top 10 players of a current game session including your position or level. The web browser version only shows the top 10. The most I reached was the top 5 since I started playing. The game is Internet based so you need to be online in order to play while pitted against other users online who sometimes use usernames that relate to their country of origin. Registration is optional and doing so enables you to save your game progress. You can still play even without registering and just choose a username, including countries. Your cell will showcase a flag if you choose a name of some countries but so far, the Philippines is not yet represented. Some player names are also very popular now, including TW or doge. Mobile sessions may have 100 or less players at once while the website based game can accommodate thousands at the same time. You can also choose a region to join through the agar.io site. Choose Party, Experimental, Teams, and FFA. You can create a party which include just your friends. More information about Agar.io including background and news updates is available at Wikipedia.